Ponziano said his expectations of Canada were out of whack with reality, adding going from a refugee camp to Canada was thought of in the same vein as going to heaven. 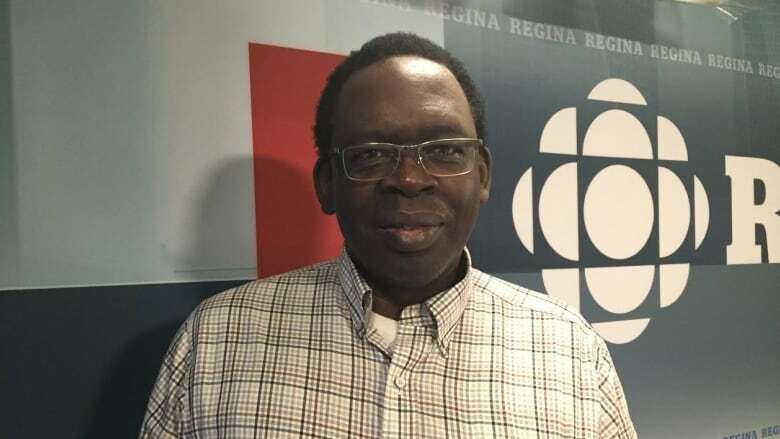 When Ponziano Aluma arrived in Regina on a cold January day in 1987, he had been living in a refugee camp for six years prior. During his time in that refugee camp, his wife died giving birth and their child died shortly after. "She actually bled to death and the baby also died the same day," Aluma said. "And before that I had lost some other family members," he added. After a decade of struggling, Aluma turned to the Caring Place for counselling. The Caring Place, along with the Uganda Canadian Association of Saskatchewan, are celebrating their 25th anniversary. By the time he made it to Regina, he had not properly dealt with the grief and trauma. Aluma, who is from Uganda, said the initial euphoria actually masked the grief. He describes his emotions during that time as a mixture of optimism, euphoria and confusion. At first, it was the short days and long nights that confused him. Then he began to notice people treated him differently in Canada than he had anticipated. When his expectations were not met, it added an additional challenge to transitioning from life in a camp to life in Saskatchewan. Aluma had no one to talk to about his problems. "Everybody was busy. Nobody had time for anybody." Then, the optimism he had was replaced as pessimism and a sense of hopelessness began to set in. "My expectations were out of whack with reality," Aluma said. He said he had the general idea at the time that going from a refugee camp to Canada was like going to heaven. "All your problems would go away and you're just, all of a sudden, live a very fantastic, happy, easy life," he said, referring to the expectations and reality of the situation as the expectation gap. Aluma said that back in Africa, the white friends he had made were very friendly. No one paid attention to him when he arrived. Those who did, he says he thinks didn't even like him being around. "It took me time to figure out who really was welcoming and who wasn't," Aluma said. Aluma was dealing with depression — undiagnosed at the time. He said that a few years into his new life in Regina, he actually forgot the name of his wife who had died back in the refugee camp. "I could see her image in my head but I could not remember her name," he said. The ugliest point was after Aluma had graduated. He had a job and he was working but then he lost his job. Aluma then tried to take his own life and was hospitalized. By this time, he was in a relationship. His partner was at his bedside while he was in hospital. When he was released, it was revealed that Ponziano would be a father — his partner was pregnant. "That was actually one thing that gave me hope and was the start of my journey to healing," Aluma said. He said his struggles stretched over a period of 10 years. Years into that struggle, Aluma was in another relationship. His partner became frustrated, though she loved him very much, and urged him to seek out counselling. Aluma eventually turned to the Caring Place in Regina. There, he began counselling sessions with a man named John Adams. "He listened to me, and we would cry together. This man allowed me to express myself and cry," Aluma said. "It was like working physiotherapy after a bad accident," he said. "It was real painful but it was like you had to go through the pain. Because if you didn't, you will not heal properly; you will heal crooked if you really avoided the pain." Aluma said mental health is not something properly cared for when it comes to newcomers. People are worried about having a place to stay, he said. He will be speaking on Saturday night at the Shumiachter Theatre. The theme of the evening is to highlight mental health and the role it plays in the successful resettlement of newcomers.